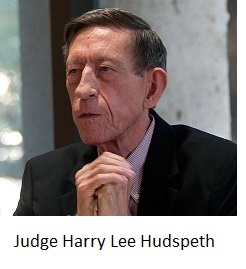 Retired U.S. District Judge Harry Lee Hudspeth of Austin got away with it. To no one’s surprise, the Fifth Circuit Judicial Council in New Orleans shrugged off the evidence that Judge Hudspeth covered up the sexual misconduct of U.S. District Judge Walter S. Smith, Jr. of Waco while Hudspeth was serving as the chief judge for the Western District of Texas. In the light of Judge Hudspeth’s retirement from office, the Judicial Council is no longer able to impose any sanction under 28 U.S.C. § 354(a)(2)(A) or (B). Moreover, even assuming the allegations of the complaint are true, the Council concludes that they would not warrant recommending the extraordinary step of attempting the impeachment of a judge who is no longer on the bench. That’s similar to what happened with Judge Smith. The judicial council first tried to let Judge Smith off with a one-year partial suspension for grabbing and groping a woman in the courthouse. I appealed the sentence, and a national appellate panel sent the case back to the Fifth Circuit with directions to investigate the other incidents I reported, then reconsider the punishment. A week before the second order was released, Judge Smith retired. Naturally, the judicial council said it was powerless to act and washed its hands of the matter.